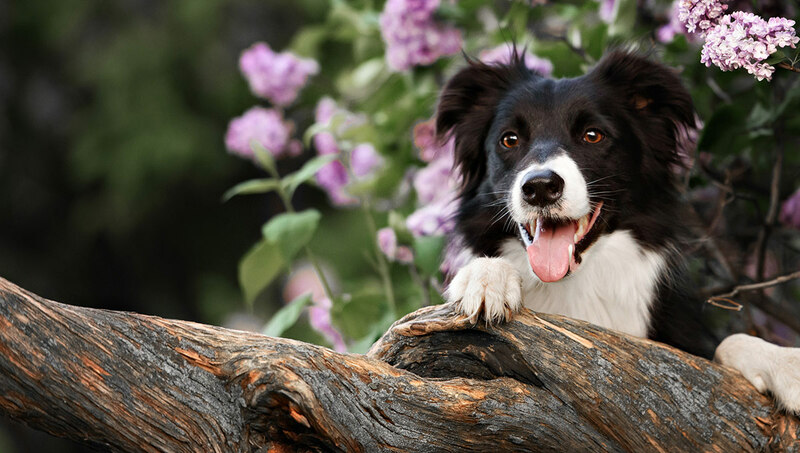 You don’t have to be a collie to learn new tricks! Are you looking for ideas for some extra or fun training exercises with your dog? Then Teach Your Dog To Spin is a great place to start. Luring is a great way to get a dog moving in a particular direction. But we don’t want to become dependent on the lure. No-one wants to have to lead a dog around with a piece of chicken in front of his nose. Before you begin, you need to think about what you are going to do. It helps if you practice your hand movements without the dog to begin with. Decide which way you will turn the dog (clockwise or anti-clockwise) – you can teach him to turn the other way later. If you can’t make up your mind, start with anti-clockwise, that’s what we’ll assume in the exercise below! You are not going to feed the lure to the dog. 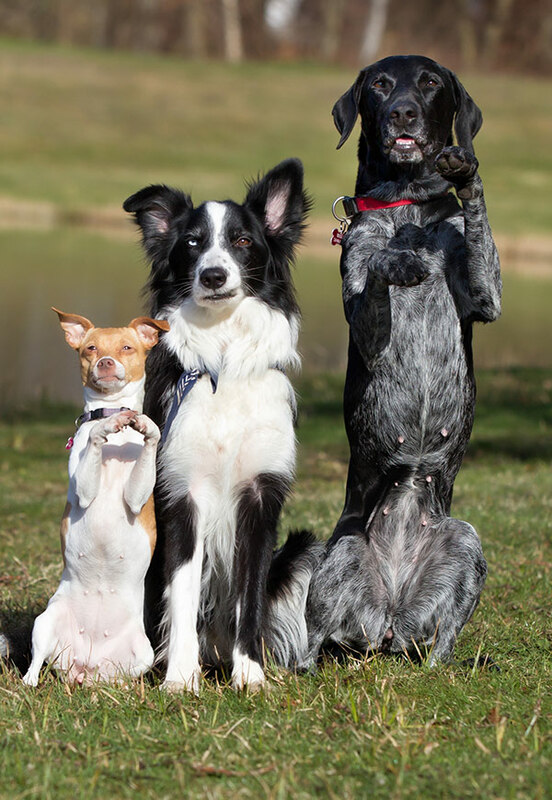 You will be holding a piece of food (lure) in one hand, and you’ll need some treats that are easily accessible to give your dog with your other (non lure) hand. Practice this in a mirror without your dog, so that you can see what you are aiming for. When your dog can complete the circle you’ll be fading the lure. Once he will follow your hand you’ll be turning the circle you make with your hand into a simpler hand signal. And eventually, you’ll be adding an alternative verbal cue to initiate the turn. It can be very useful when luring new behaviours, to include the use of an event marker. This helps maintain the ‘lure following’ behaviour, and lets the dog know when he is on the right track. You can use a clicker or if you prefer, a verbal event marker like YES! Or GOOD! To begin with, don’t use the event marker unless the dog is glued to the lure. If he breaks away from the lure, make the exercise easier by not moving so far or so fast. This step gets the dog following the lure and moving across your body. Start with your dog facing you, stand so that he is to your left. Start with your dog facing you and to your left. Bring him towards you (take a step back if necessary), across your body and start to curve your hand away from you in an arc as he passes in front. When the dog is following this curve with confidence move on to step three. Repeat, bringing him around in a full circle. Mark as he completes the circle and reward from your other hand. Start with the dog facing you and to your left. Mark at the three-quarter point the first time, just like you did the first time at Step Three. Reward from the other hand. If there was the slightest hesitation, alternate real lure/imaginary lure a few times before losing the lure entirely. Once the dog is confidently following your empty lure hand in a complete circle, it is time to ‘pretty up’ your hand signal. I just point my index finger at the floor and make a little circle ending with an anti-clockwise ‘flick’. This is nice an easy to progress to from the big sweeping arm you used to lure. If you try and go from the big sweeping arm to the tiny finger circle in one go, your dog will probably not get it. Just gradually make the signal more and more understated until you have what your are looking for. It’s up to you what you call it of course, the dog won’t mind if you call it ‘twirl’ or ‘banana’. It makes no difference to him. If the dog does not turn simply give the hand signal, mark and reward the turn, and repeat from 1. Do this two or three times a day, extending your ‘wait’ by a few seconds each time. At some point in the next two or three sessions, he’ll get it and turn on your verbal cue alone. Mark and Reward. And give yourself a big pat on the back.